One style is the classical corinthian eight column gazebo! 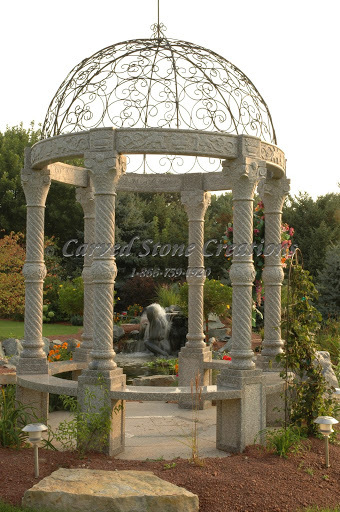 This gazebo is handcarved from natural stone and has a breathtaking dome. This gazebo style is a great space for having dinner parties or wedding ceremonies. The possibilities are endless! 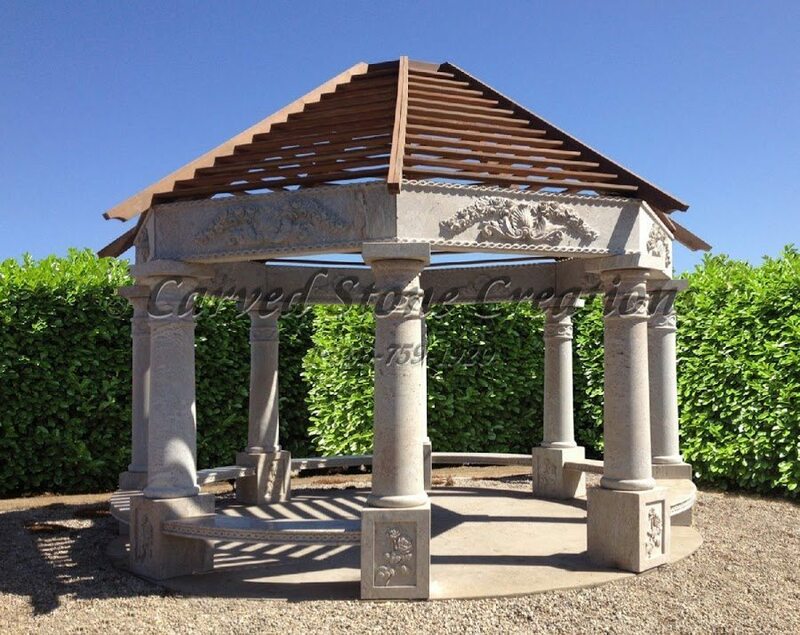 Twist and shout as you admire this corinth twist gazebo! It has six columns and features a matching granite paver floor with wrought iron dome. The longer you sit in peace under your new gazebo, the more you will notice all the unique, twisted, fluting designs and other decorative elements, such as the intricate scroll work on the top. 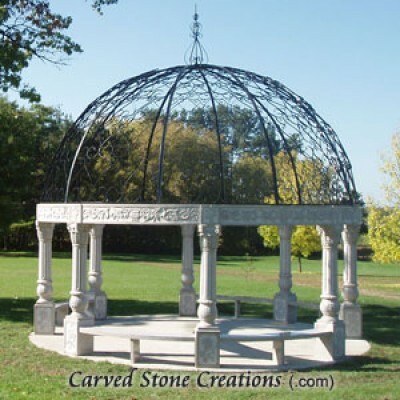 In previous blogs, weve talked about granite being a popular stone choice because of its extreme durability, making this granite gazebo, complete with benches and an iron dome, a true treasure. This stone piece will leave you and your guests in awe. Have one of these gazebos caught your eye? If you are looking for a particular material, style or size, we make custom designs. Contact us today!